This Kabir Khan film is good in parts, but on the whole is no short of a snoozefest. The film that is a fictional take on the post 26/11 Mumbai terrorist attacks and the makers tried to paint a picture of what could have been an alternate reality. 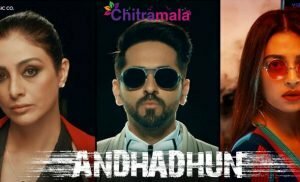 It is an adaptation of novel Mumbai Avengers by Hussain Zaidi. 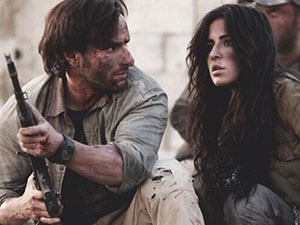 Starring Saif Ali Khan and Katrina Kaif in leading roles, the film doesn’t offer much on the acting front. But they tried hard. Too hard! But it was Mohammad Zeeshan Ayyub who held the film together. He was holding the strings of the plans and plots. The film did alter a few names and showcased how the culprits were served with justice. They planned and made some deaths look like accidents, like pieces of cakes. But what on reel life, stays on reel life. The plot meanders and has ups and downs. Some parts of the film are shot very well and some parts are dull. The film had the elements but something went missing. Saif Ali Khan as Daniyal Khan, has been an underrated actor since a really long time. But over the last few years, he has shown versatility. But sadly with Phantom, he delivers phantom expressions. He looks good and does fight scenes well. But underscores on facial expression front. We really wish, Saif brings back his mojo. Katrina Kaif as Nawaz Mistry, is Katrina Kaif in most of her past films. She has come a long way since her pretty-face-less-expressive acting days, but has a long way ahead. She really needs to emote better on screen. She looks good no doubt, but hers could have been a better performance. The man who is the film’s binding force is Mohammad Zeeshan Ayyub. With poised acting skills and brainy work, his character Samit is the driving force too. He does his role with conviction and with each of his performance, makes us expect more out of him. This man can act and really deliver up to the expectations. Sabyasachi Chaktraborty show his finesse in small but pivotal role, and others too do their parts. Maybe it is too fictional in approach. That is what the problem is. Such covert operations are executed well but they have chance, luck and circumstances playing a big role. The probability of every plan working out seamlessly fine is a bit hard to believe. They had difficulties and overcame them as cool as a cucumber. In real life, odds are never in favor so many times. But then again, it was a fictional one. 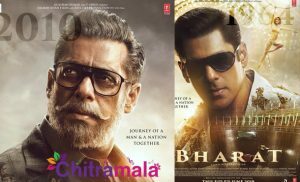 With all due respect to the people who risk their lives for the nation and those who lost theirs in various terrorist attacks, the film is attempted to be a homage. It might find a connect, but it goes wrong in places. As they said it to be a story, we all wished were true, we really wish that. Kabir Khan has given good films, but more was expected from him honestly speaking. The film looks good and is shot well. But still it was too long, with some unnecessary parts that could have been left off. Yes, it is watchable, but make sure you have coffee. That will help you sit through. But a serious note, do watch it. It has a very subjective approach. So what one may not like, other may like. The film is a decent one and can be watched.